In a sign of how swiftly and extensively climate change is reshaping the Arctic environment, a new study has found that the region’s mighty boreal forests — stands of mighty spruce, fir, and larch trees that serve as the gateway to the Arctic Circle — have been burning at an unprecedented rate during the past few decades. The study, published Monday in the Proceedings of the National Academy of Sciences, found that the boreal forests have not burned at today’s high rates for at least the past 10,000 years, and climate change projections show even more wildfire activity may be to come. The study links the increase in fire activity to increased temperatures and drier conditions in the region, which is driving wholescale changes in the massive forests that encircle the northern portion of the globe. A heavy smoke plume from a boreal forest fire. Wildfire activity in the boreal forest biome, which is also known as taiga, plays a crucial role in the globe’s carbon budget, since these forests represent nearly 10 percent of the planet’s land surface and contain more than 30 percent of the carbon that is stored on land, in plants and soils. Globally, the boreal forest covers 6.41 million square miles, forming a ring along and just below the Arctic Circle. Increased burning in recent years has meant that more stored carbon has been freed from these ecosystems, which acts as a feedback, leading to more global warming, and hence more wildfires. In addition, the black carbon, or soot, emitted from the fires can land on snow and ice in the Arctic, hastening melting. Alaska has seen a significant increase in wildfire activity in recent years, which has been linked to the effects of a warming climate, including warmer, drier summers with greater thunderstorm activity. 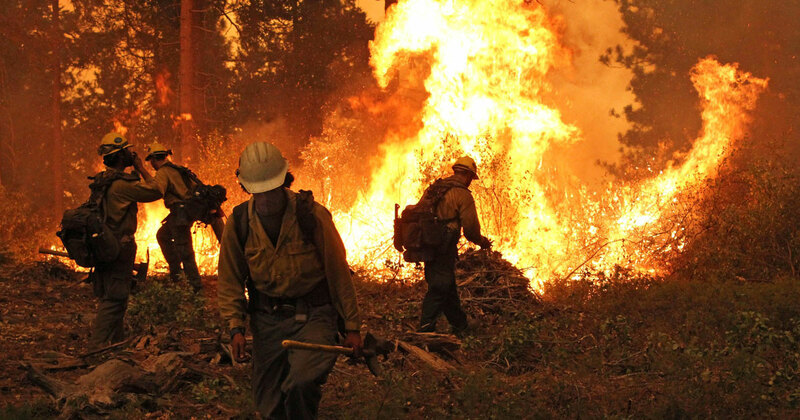 So far this year, Alaska has seen 451 wildfires (not all of them in the boreal forest), which have burned 1.3 million acres, the most of any state in the country. The new study found that while global warming is likely to lead to even greater wildfire activity in the coming decades, vegetation changes as a result of such fires may keep a lid on the magnitude of the surge in wildfire activity, as apparently occurred during the so-called “Medieval Warm Period” between about 800 to 1400 AD. 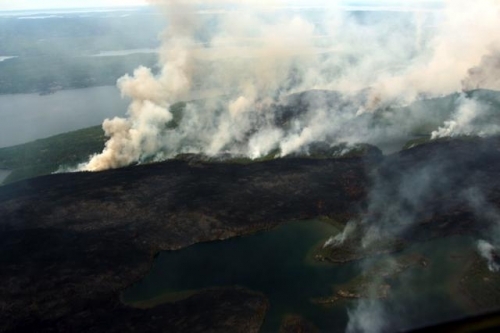 For the study, researchers used charcoal records from 14 lakes in the Yukon Flats of interior Alaska, which is one of the most flammable parts of the boreal forest biome, to infer changes in the wildfire regime during the past 10,000 years. Scientists employ charcoal records as a “proxy” indicator of past wildfire activity, in much the same way that other climate researchers have used tree rings to study drought history. The researchers found that recent wildfire activity exceeded the range of natural variability during the past 10,000 years, which they attributed to climatic warming during the past few decades and “the legacy effect” of the Little Ice Age, which occurred from about 1350 to 1850 AD, and brought cold and wet conditions to Alaska that encouraged the growth of trees and plants in the boreal forests. Such vegetation is now serving as fuel for wildfires. 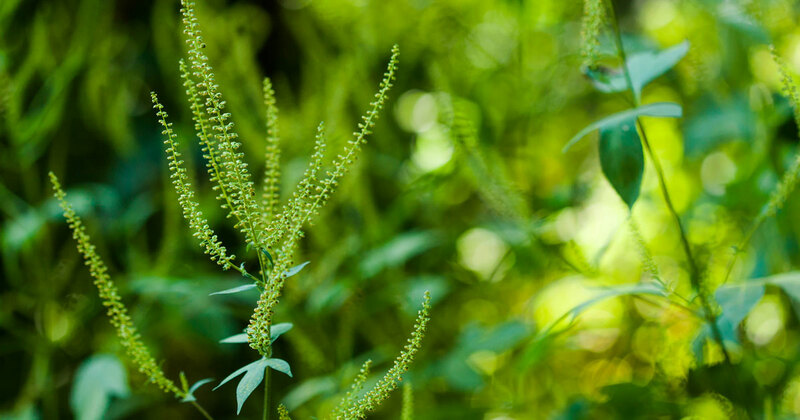 “The ecosystems in this ecoregion appear to be undergoing a transition that is unprecedented” in the past 10,000 years, said Feng Sheng Hu, a coauthor of the study and a plant biologist at the University of Illinois. “We think this transition may occur in other boreal regions in the decades to come,” he said via email. Most climate projections show that wildfire frequency, size, and severity are likely to increase as the northern climate becomes warmer and drier than it is today. Studies show that there may be a fivefold increase in annual area burned during the 21st century in Alaska and Western Canada, for example. Already, the boreal forest biome has seen some of the most rapid and largest amount of warming of anywhere on earth, with a significant decline in the number of days with extremely cold temperatures, and increases in summertime overnight low temperatures and the length of the frost-free season. Map with the boreal forest biome, also known as taiga, highlighted in green. This summer has been exceptionally warm in Alaska, with the state recording its fourth-warmest June on record. Fairbanks has seen more days with a high temperature of 85°F or higher than anytime since records began there in 1930, with an unusually high number of days with a low temperature above 60°F as well. However, the study suggests that the increase in future burning may not be quite as significant as the projections show, because of vegetation changes set in motion by the fires themselves. According to the study, the tree species that have moved into recently-burned parts of the boreal forest have tended to be less flammable deciduous species. This vegetation change, the study found, could exert a negative feedback on future wildfire severity and frequency. From their charcoal records, the researchers found that this dynamic likely played out during the Medieval Warm Period, when climate conditions were similar to what they are today across interior Alaska. “. . . Deciduous trees are prevalent in our study area today because of the extensive burning over the past few decades. This vegetation change will probably lead to diminished burning,” Hu told Climate Central. “However, the magnitude of climate warming within this century is projected to be greater than anything that has occurred over the past 10,000 years. So, even deciduous forests could become flammable,” he said. Although the study did not directly address the carbon cycle, other research has shown that increased forest burning as a result of warming will be a bigger factor driving the release of stored carbon from the boreal forest than the more direct impacts that climate change will have on the carbon cycle, such as through changes in the rate at which soils can absorb atmospheric carbon. And the boreal forest is becoming more flammable at the same time as another key Arctic biome, the tundra, is as well. One massive tundra fire in Alaska in 2007 emitted 2.1 million metric tons of carbon into the atmosphere, about equal to the amount of carbon that the Arctic typically absorbs in a year, according to a 2011 study. 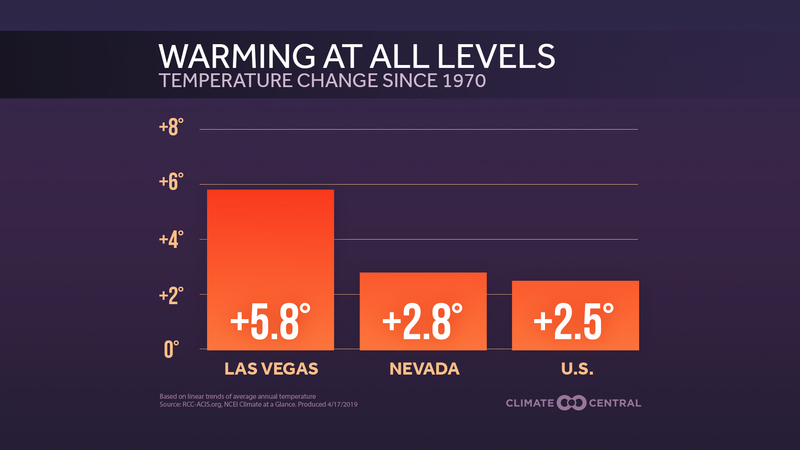 All-Time Heat Records Broken in…Alaska? !